with his new owner Pongsakorn Pongsak. 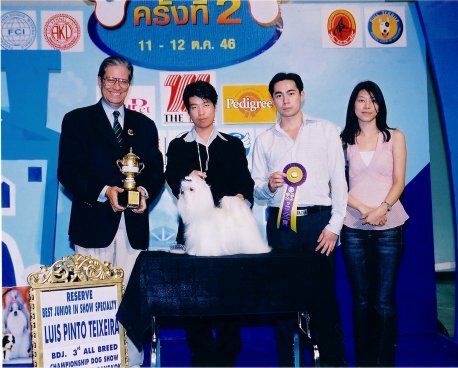 Billy, shown above with his handler and owners Mr & Mrs Pongsak, won a Reserve Best Junior in Show at just 13 months of age at his first show in Thailand!! I cant wait to see how he continues in his show career in Asia!!! Above, Puzzle is being shown in the Toy Group in Italy by European Handler Pasquale Romanelli. Puzzle just received an All-Breed BIS in Italy in June. His new owner, Luciana Giallombardo (Italy), and his past owners, Angela and Larry Stanberry (US), could not be more proud of Puzzle's accomplishments. 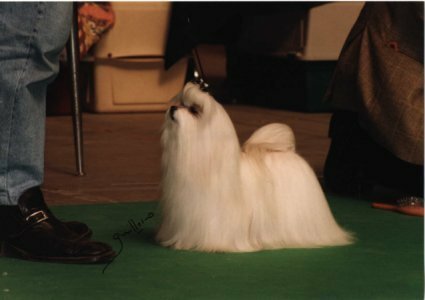 Personally, I am thrilled to have bred such a wonderful dog and to have been his handler here in the US. 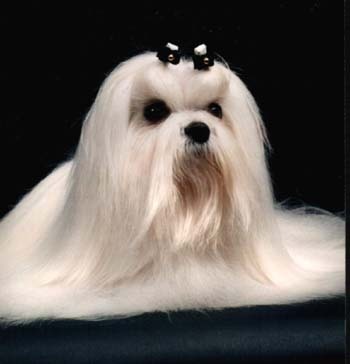 Mister is shown here after winning his 3rd major and completing his American Champion title at just 12 months of age. Mister is now being shown in Europe by his new owner Yvonne Jan (France). He is well on his way already acheiving his Junior Int title. 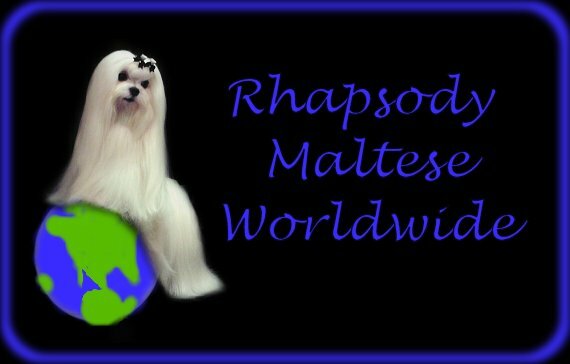 Mister is a wonderful representative of the Maltese here at Rhapsody. Victor is shown above in a portrait taken by his new owner in Spain! Victor is now being shown in Europe by his owner Isabel Castro Vera. He has completed his Postugese and International championship titles and is on his way to his Spainish title. Victor sired a couple of litters here in the US before leaving for Spain. 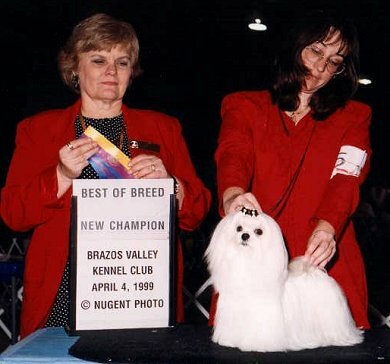 His first champion offspring finished at 9 months of age. Look for his kids in the ring! 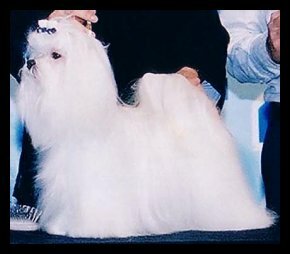 Please email me for more information on available dogs for exhibition overseas!!! 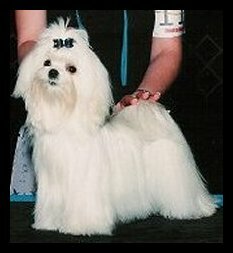 Rhapsody Maltese can be seen at many shows abroad. Both young adults and champions, are available occassionally. I frequently have a waiting list. Email me for prices and availabilty.